A bit bigger than a 7x5! 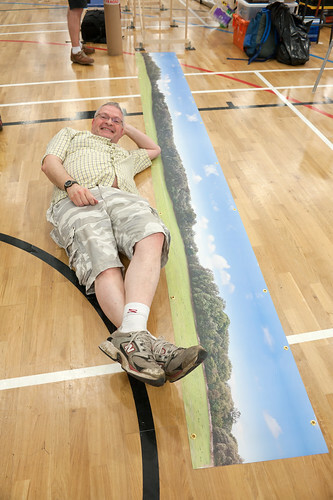 I don't normally promote a competitor's mag, but Paul Marshall Potter is a good beer drinking mate of mine and this follows on quite nicely from my piece on how to create your very own photo-backscene which featured in January 2013 Model Rail. In the forthcoming Railway Modeller article, Paul will illustrate a neat way to put a photo backscene into use which will put an end to tatty joins, air bubbles and how to keep it pristine when not in use. The excellent Albion Yard will be appearing in Model Rail in 2013 - it will definitely be worth keeping an eye out for with some seriously eye-catching photography (I had to say that because they're my photos).